You guys! 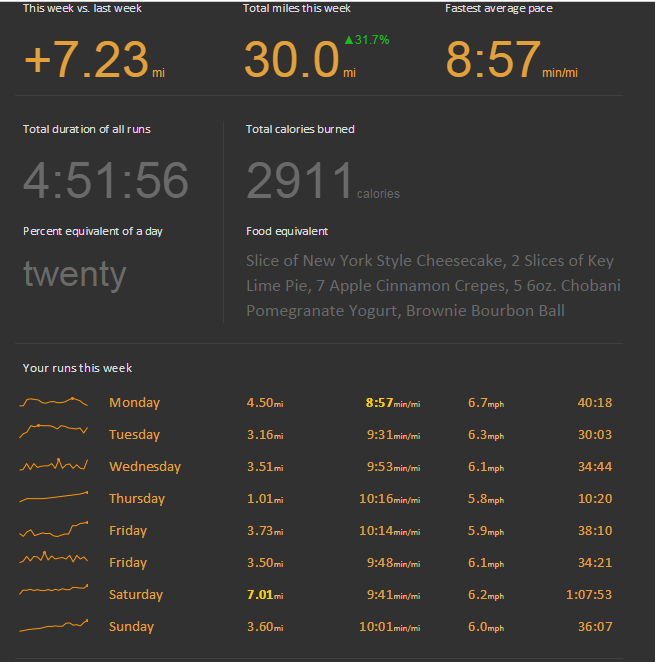 I ran 30 miles last week! That’s my highest run mileage in a week since over a year ago! As of right now the rotation will include the Newton Fate, Brooks Ghost 6, Saucony Fastwitch 6, and as many more miles as I can get out of my old Brooks PureFlow 2s. That’s really all I’ve got for today. Gonna go finish the book I’m reading (Run by Blake Crouch) so I can start on the next one. I’m really liking this author! His series that I just finished (Wayward Pines) is being made into a TV show by M. Night Shyamalan (Love his stuff!!!!) and will be airing in May. I highly recommend! 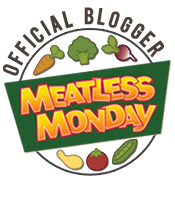 ← New Recipe: Southwestern Quinoa and Black Bean Casserole, and I made my Running Goal! Great job!!! That’s awesome! :) what stylin’ tracker thing is that?? Was gonna ask the same thing about the app, looks really cool. Awesome!! I do hope the moleskin works…..got my fingers crossed for you. Thanks! Me too ;) Gonna stop either tonight or tomorrow to pick some up.